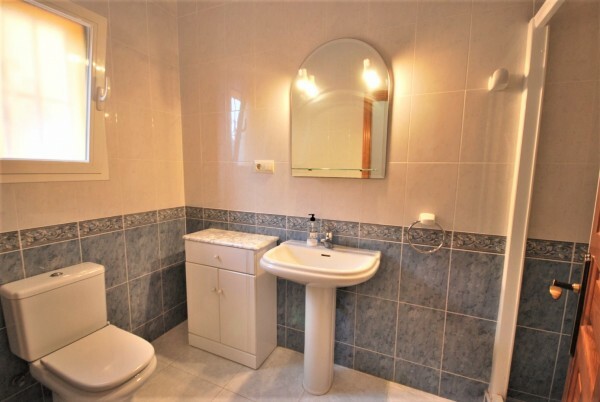 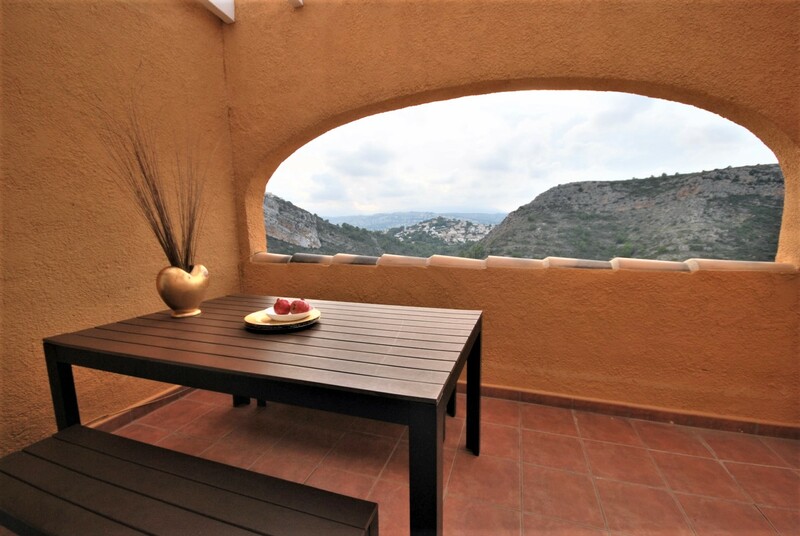 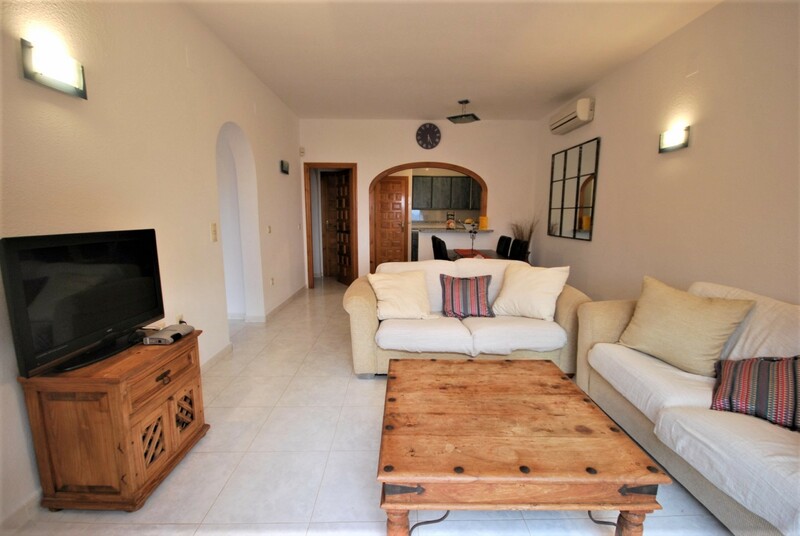 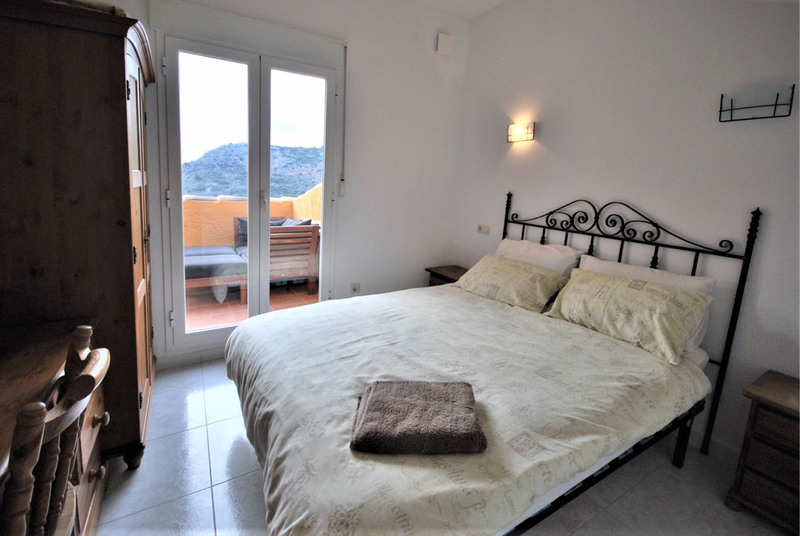 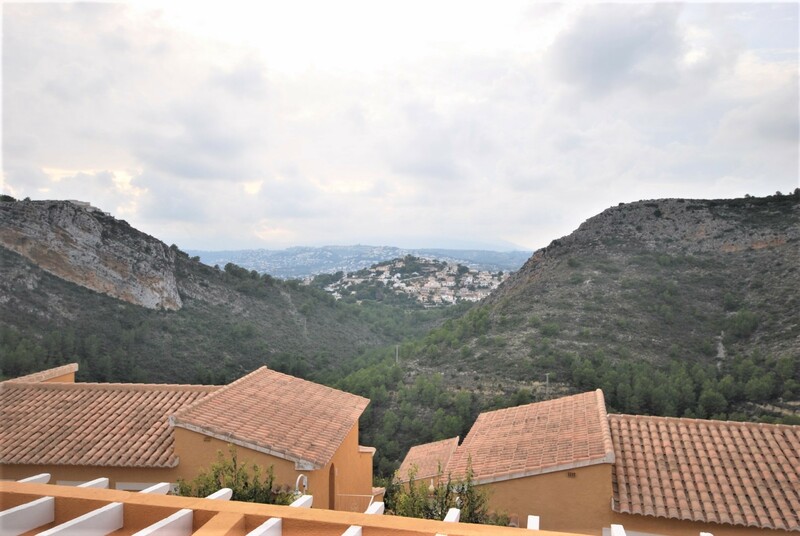 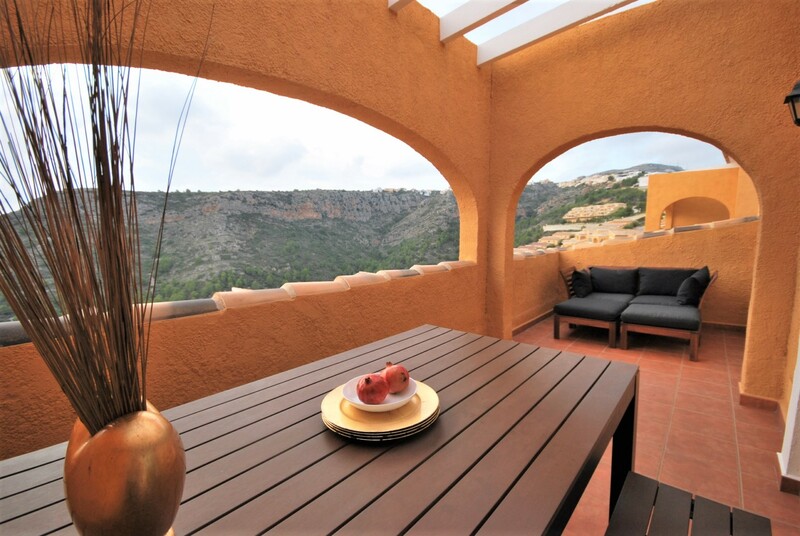 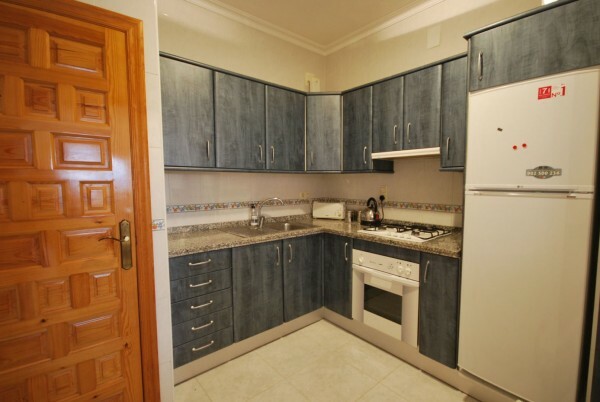 Lovely apartment with a large terrace enjoying open and mountain views and beautiful sunsets. 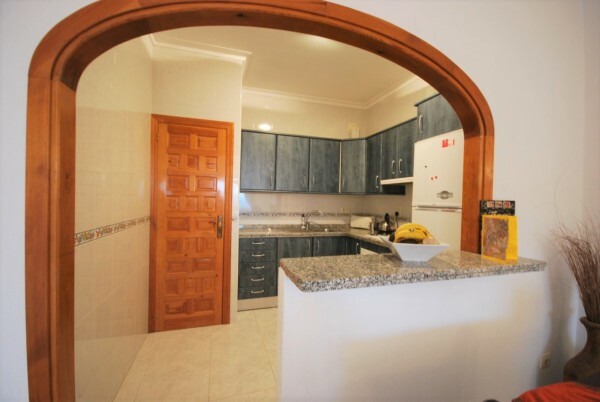 This immaculate property comprises 2 double bedrooms, 1 bathroom and a good sized lounge/dining room with American kitchen. 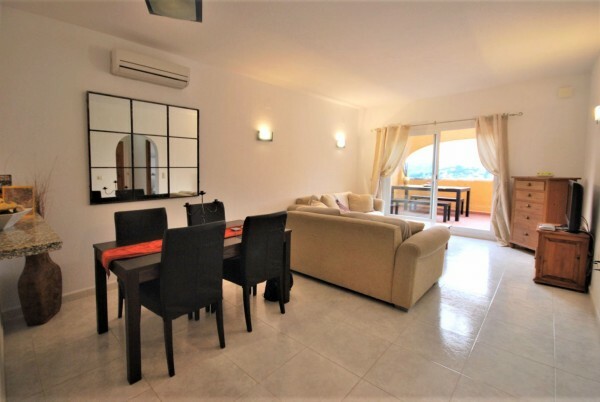 The property benefits of airconditioning hot/cold and a large community pool.